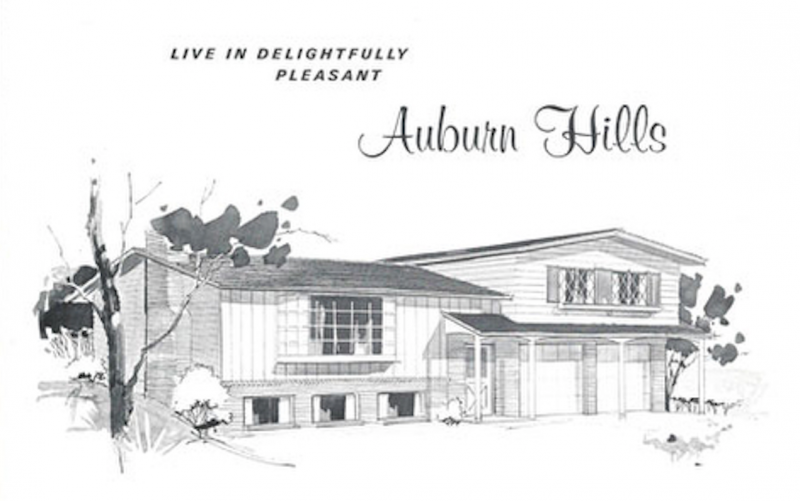 This article is part of a series of pieces which chronicle the development of Auburn Hills, one of our city's first racially integrated spaces. The intent behind this series of articles on Auburn Hills is to serve as a launching pad for a deeper exploration into the current lived experience of African Americans in our city. In so doing, we hope to create space for a more full understanding of our racialized landscape. It is our desire that through this exploration, we might begin to again envision new spaces like Auburn Hills; spaces that we can collectively move into. The interviews of the original residents of Auburn Hills are the brain fuel for these articles. These videos are the result of the hard work of Jeremy Moore, Joel Van Kuiken and Denise Evans. Not many people in Grand Rapids know the story of Auburn Hills: the story of how four African American families envisioned a neighborhood where any person, regardless of their race, could live. This is a story of triumph- where in the face of fear and unfamiliarity, our community saw the creation of a new space, an integrated space. This series documents this important piece of our city’s history, and includes video of the original residents of the neighborhood and their experiences. We will also use the story of Auburn Hills as a launching pad for a deeper exploration into the current lived experience of African Americans in our city. In so doing, we hope to create space for a more full understanding of our racialized landscape. It is our desire that through this exploration, we might begin to again envision new spaces: spaces that we can collectively move into. In the early 1960s, “redlining” was a common practice across the United States. This practice was designed to confine blacks to certain areas of a city through a variety of explicit and implicit means. In frustrated response, four black professional men came together in 1962 to buy and develop a plot of vacant land in northeast Grand Rapids, with the vision of creating an integrated neighborhood that was open to all. Dr. Julius Franks, J.E. Adams, Joseph Lee and Samuel Triplett (The Four) were middle- and upper-middle class African Americans living and working in Grand Rapids. J.E. Adams was an educator, serving as a teacher, administrator and principal during his career. Dr. Julius Franks was a dentist and former University of Michigan football star. Samuel Triplett was a teacher and the first African American to teach in the Grand Rapids Public Schools at South High, and Joseph Lee was a social worker and twice president of the Grand Rapids Urban League. In 1962, all four men were part of a philanthropic organization called the Ta-Wa-Si Club. The club was designed to help black high school students attain college scholarships and expose them to college opportunities. At one club meeting, Dr. Franks brought in a notice of “land for sale” by the City of Grand Rapids. The 20 acre parcel of land was advertised as “perfect for developing” near the corner of Fuller and Sweet streets. This land, while still in the city, was outside the “red-lined” area that black families were constrained to. Undeterred, the four men saw purchase of the land as an opportunity to provide modern housing and good educational opportunities to a growing black middle class. The land was listed without a price, so The Four came up with a reasonable offer of approximately $1000 per acre at $20,500. For reasons unknown, the City rejected their bid and listed the land at $54,500, more than double The Four’s original bid. Despite the exorbitant price, the four bid again at $60,000 and the offer was eventually accepted with $12,000 down and a five-year land contract. From the very beginning, The Four envisioned the creation of an open neighborhood where anyone, including black families, could call home. The backlash to the sale agreement was swift and severe. Existing neighbors feared that an integrated neighborhood would eventually turn into a slum. To substantiate this fear, the residents approached the City saying that it was “unnatural” for white and black to live so close together. One City Commission meeting saw over 100 neighbors turn out to voice their concerns. With such overwhelming pressure against the development, the City eventually balked and stalled the sale of the land, saying they were unsure if they had the right to sell the land without City Commission approval. As fear began to spread, the City came under increasing pressure to back out of the sale. At a special City Commission hearing regarding the development, well over 500 white residents showed up to express their anxiety over the development. Sensing the rising tide of white dissent, The Four decided to hire an attorney that would push the City to make a decision regarding the legality of sale agreement. Local black organizations like the NAACP and the Grand Rapids Urban League entered the fray providing both legal and moral support for the four developers. This is when something truly amazing began to happen. A coalition of church leaders, led by Duncan Littlefair of the mostly white Fountain Street Church, came together and asked churches to take a stand on the issue. In response, churches across the city, black and white, began to voice their support of The Four and pushed the City to see the development through. Thus began a struggle that spanned two long bitter years. A war of public opinion was waged in our city over the freedom of black movement. Loud voices from both sides of the color line vociferously called for either the cessation or continuation of the development. But public opinion was changing. The broader civil rights movement was gaining traction across the nation and Grand Rapids was not exempt. The City however, as with most systems, was slow to react to the changing times. A series of stalling tactics on the City’s behalf prevented The Four from building on the land that they had paid for. Tensions continued to grow and eventually came to a crescendo in the winter of 1963, when in an unprecedented occurrence, the Chamber of Commerce charged the City with stalling and demanded that the development be allowed to continue. The City finally complied and allowed the development to move forward. In January of 1964, two years after their purchase of the land, The Four saw one of their own housed in Auburn Hills. Joseph Lee, was the first of the four to build his own house in the neighborhood. 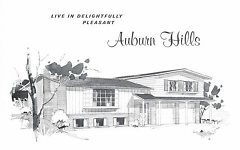 The literature that came out about the development reflected The Four’s original goals: “Auburn Hills is a community project, created to promote the freedom of residence.” The neighborhood never became a slum as neighbors feared and, true to its founders’ vision, was always integrated. To this day, the area surrounding Auburn Hills continues to be one of our city’s most racially and ethnically diverse. The story of Auburn Hills is truly a jewel of our city’s history. Over the next few articles, we will go into more depth around the experience of life in Auburn Hills for some of its original residents of color. There are fascinating stories to be told. We will unearth hidden narratives from how parents shielded their children from the maelstrom of public opinion, to the implications of leaving a “black space” for a “white space.” We hope you find these articles valuable and that they spark in you a desire to unearth stories of your own, and as we grow in understanding of ourselves and each other we might come back together to envision new horizons.